Poslední vydání odborného recenzovaného periodika Fórum pro konzervátory-restaurátory, 2017. ISSN 1805-0050, ISBN 978-80-87896-44-0. Technické muzeum v Brně, ISSN 1805-0050, ISBN 978-80-87896-44-0. 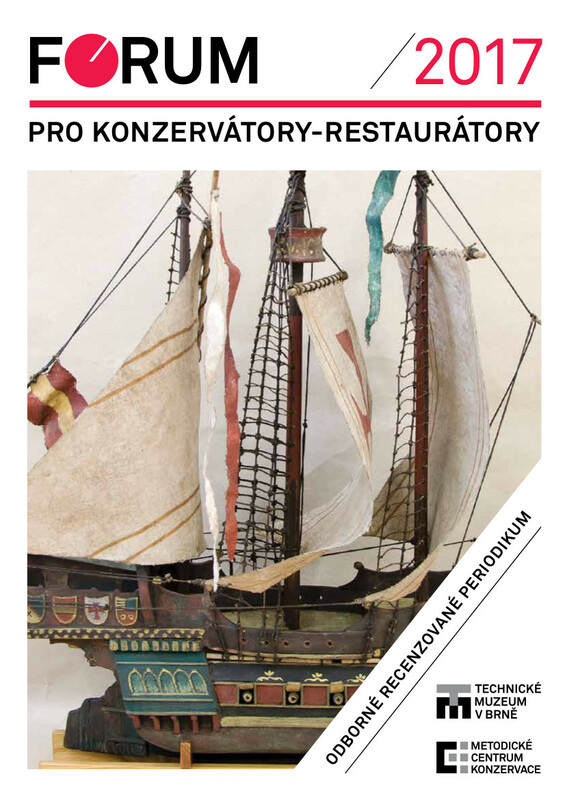 Reviewed journal published by the Methodical Centre of Conservation of the Technical Museum in Brno in cooperation with the Commission of Conservators-Restorers of the Association of Museums and Galleries of the Czech Republic, on the occasion of the Conference of Conservators-Restorers. This journal is a successor of former jounal named The Journal of the Conservators-Restorers Conference (ISSN 1805-0050, ISBN 978-80-87896-44-0).